For some unknown reason (maybe system architecture difference, say you are trying to connect to a 32-bit OS shared printer with a 64-bit client) you may get this error code, here is a trick to save your life. Make sure you have saved credentials for that shared printer, simplest way to this is type \\IP_ADDRESS or \\Machine_Name of that host, enter and save credentials if you are not in AD. 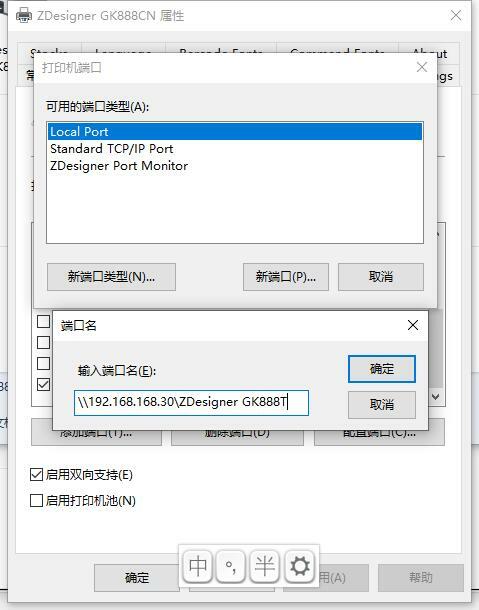 Add a local printer for same type and driver version you are trying to connect to, use LPTx or COMx as port number when required, atfer installation, you should have a printer in you Control Panel> Devices and Printers. Navigate to Control Panel> Devices and Printers, open Printer Properties of that new printer you have just installed locally, in tab Port, click Add Port, then add a *LOCAL PORT*, in name box, paste full path to that printer you have copied then click Apply or OK all the way. This entry was posted in Windows on October 5, 2018 by John.